The skyrocketing demand by consumers for food products that come with added health benefits is currently propelling the global food amino acids market. A growing number of consumers are leaning towards convenience foods and functional foods that contain supplementary nutrition. The growing demand for processed foods is also boosting the demand for food amino acids within the food and beverages industry. Amino acids such as glutamic acid are in high demand owing to positive research results and a high rate of marketing by key processed food manufacturers. There is currently a much higher use of synthetic amino acids over plant and animal sources, due to the ease of manufacturing and the greater level of purity they can be manufactured at. However, a growing preference by consumers for plant-based foods is likely to boost this segment. The global food amino acids market is being restrained by the negative image generated by certain amino acids, such as monosodium glutamate. The consumption of plant-based amino acids is catching up at a fast pace across the world, thanks to a growing number of vegetarians and vegans that are depending on plant sources for proteins. A large number of common plant-based foods are reasonable sources of amino acids, as research has shown. Although the measurement falls short when compared to animal-based foods, producers are investing heavily in providing strictly plant-based amino acids to the people who are refraining from the consumption of animal products. One of key manufacturers of amino acids in the world, Ajinomoto Co., is taking giant strides towards the provision of functional foods that contain high volumes of amino acids. One of the older ventures of the company is Amino Vital, an energy drink branded by the Japanese company, is finding its way to market shelves in all parts of the world, including Raleigh, where the company recently started production of Amino Vital. In 2016, Ajinomoto Co., had also revealed their Amino Vital Gold product line in Brazil. The product is largely available in most parts of the world online as well. The global food amino acids market can be segmented on the basis of regions, into North America, Asia Pacific, Europe, and the rest of the world. Among the various regions, Asia Pacific has dominated the overall commutation rate and demand volume in the global food amino acids market over the recent past. Several factors have led to the leading share held by Asia Pacific, including a high population density and a greater proportion of vegetarians. The Asia Pacific regions is expected to continue showing a high level of demand for food amino acids due to an increasing awareness towards functional foods and increasing disposable incomes. The demand for food amino acids is expected to continue increasing at a steady rate in North America and Europe under the growing demand for functional foods. 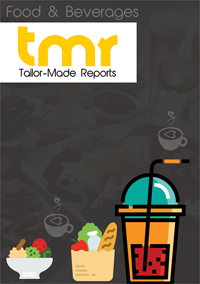 The leading players in the global food amino acids market currently include Ajinomoto Co., Inc., Brenntag AG, Kingchem LLC, Kraemer Martin GmbH (Azelis), Kyowa Hakko Kirin Group, Rochem International Inc., Sigma-Aldrich, CJ Corporation, Taiyo International, Prinova Group LLC, Daesang Corporation, Monteloeder S.L., Hugestone Enterprise Co., Ltd., Shaoxing Yamei Biotechnology Co., Ltd, Sunrise Nutrachem Group, Amino GmbH, Qingdao Samin Chemical Co., Ltd., Pangaea Sciences Inc., Pacific Rainbow International, Inc., and Evonik Industries. The competition in the global food amino acids market is expected to remain high over the coming years, owing to an increasing interest shown by consumers for branded functional foods and plant-based protein sources.